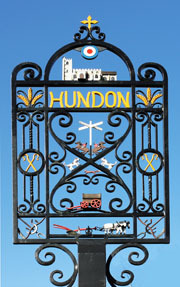 Hundon Parish Council and for the village of Hundon in West Suffolk. I am based in Essex. One branch of my family comes from Hundon - the Pawsey Family. My great-grandparents Alfred and Martha Pawsey (nee Traylor -tbc) were born in Hundon and met at the village school, moving to London in the 1890s, where they married. We are keen to know more about what life in Hundon would have been like during the time they lived there - and also know more about the village school. 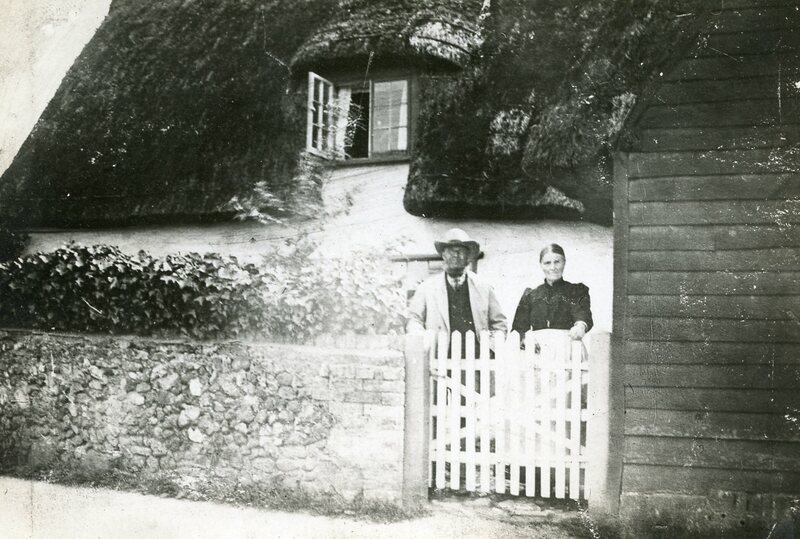 1st picture - we are very keen to have any information on who the couple are outside this cottage, and if possible where the photo was taken. We believe they may be Joseph and Miriam Pawsey (nee Ling) - married in Hundon on 24th May 1873. They are my great-great grandparents. However this is very much supposition and we would appreciate some definite information. 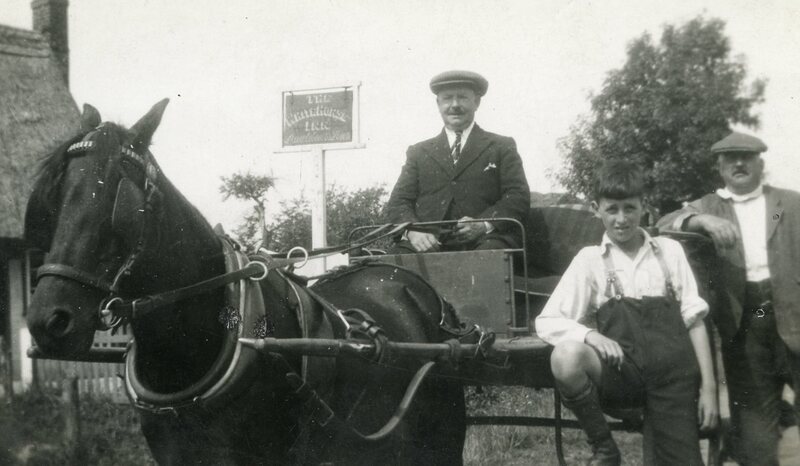 2nd Picture - again we are very interested to have confirmation of the identity of the figure seated in the horse and trap. the seated figure does resemble other photographs of Alfred Pawsey - but as he would have left Hundon lon before this would have been taken - we are unsure of the identity and would like to know more about the circumstances of the photo. We would also be interested to know more about the other individuals in the photograph. If can help please email david@hundon-village.co.uk with any information. Hundon is a very attractive village in the West Suffolk countryside with a population of 2098 (at the 2001 census) and has many amenities including the village shop, two public houses, (the Rose & Crown) in the heart of the village and The Plough at Brockley Green. Large playing fields cater for football, cricket and many other sporting Diamond Jubilee. The village hall holds regular events which attracts many visitors from outside the area. 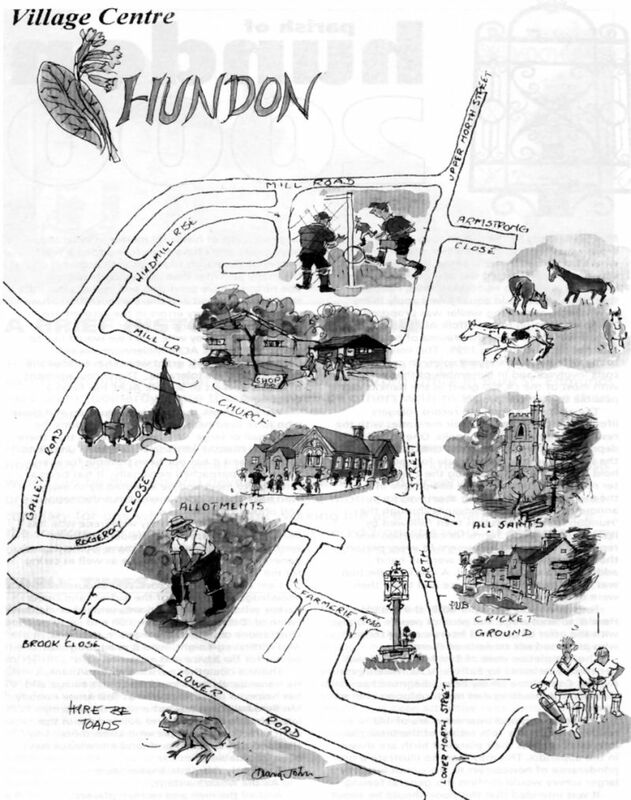 To see an old map of Hundon in 1891 Click HERE and enter the name Hundon in the place name search.